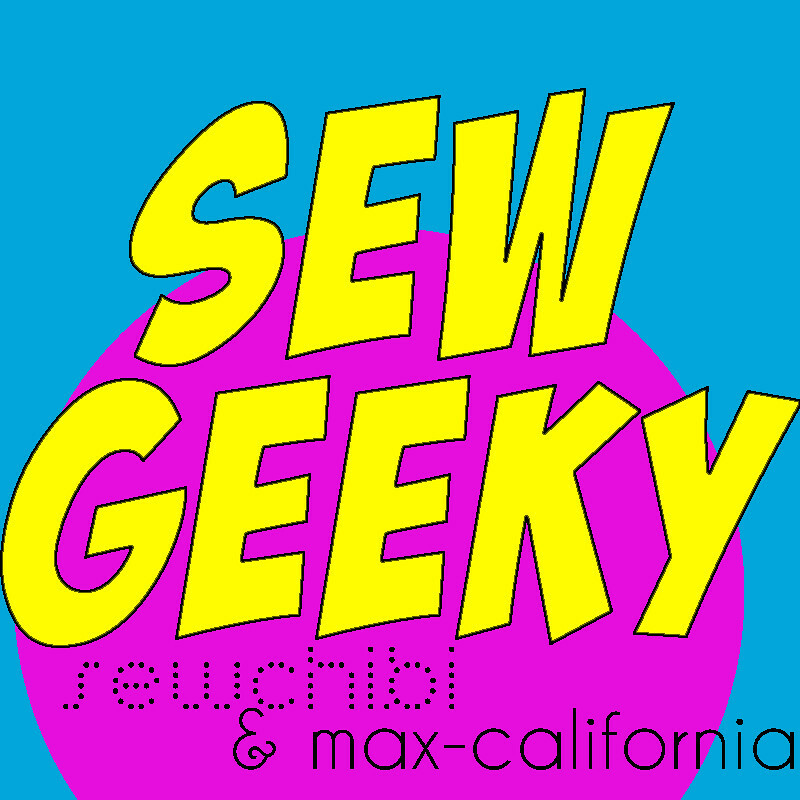 Max California: You're Sew Geeky! So things have been a bit hectic since we launched Sew Geeky (mostly for me since Kat is good at just rolling with punches!). However if you follow Sew Chibi you would have seen her announcement about episode 2 of Sew Geeky and its theme a few weeks ago. If you didn't, here it is in her words! "For those of you wondering why Max and I are late for Sew Geeky, it's because Max has some exciting things going on in her life and I am scrambling to make Sephira some birthday outfits. So, in order to stick to our making super boss geeky outfits we are extending the adult sew Batman theme in to July. Actually, I think Max and I would mostly consider Sew Geeky a theme to theme sew along versus a month to month if you catch my drift. We both value our families over anything else so if life gets in the way, it takes precedence. 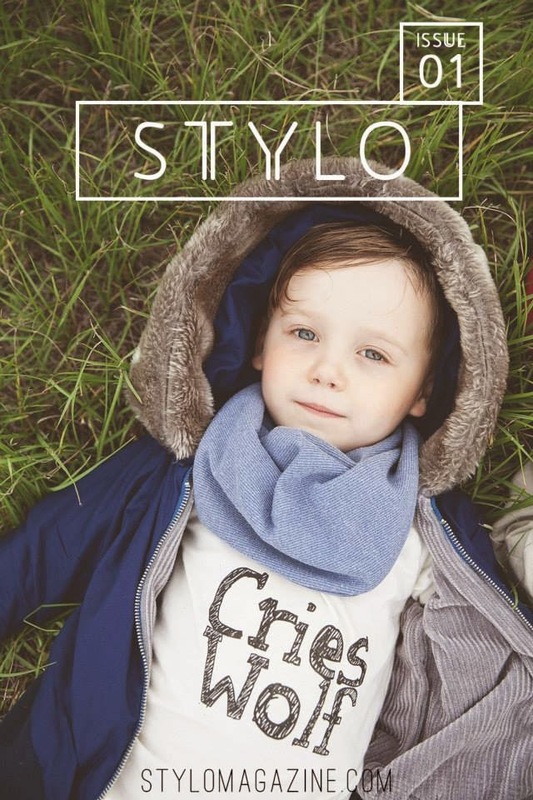 But Sew Geeky is definitely number two on our importance list! We even have more new and exciting prospects on the horizons too!!! I sure hope you're not tired of us because we aren't going anywhere! Expect to see some big changes in some of our up and coming creations with infinite surprises!!!! Don't forget to add your Geeky handmades to our Flickr group and findings onto our Pinterest group! And thank you to all that have added already! We are both incredibly pleased with how many of you are waving your geek flap high with us!!!! Much Love and Infinite Lives, from Max and Kat!" We don't have an actual definitive date JUST YET, however it will be in the next few weeks! So to tide you over, here's some Sew Geeky goodness YOU guys have been entering into our Sew Geeky group Flickr pool. 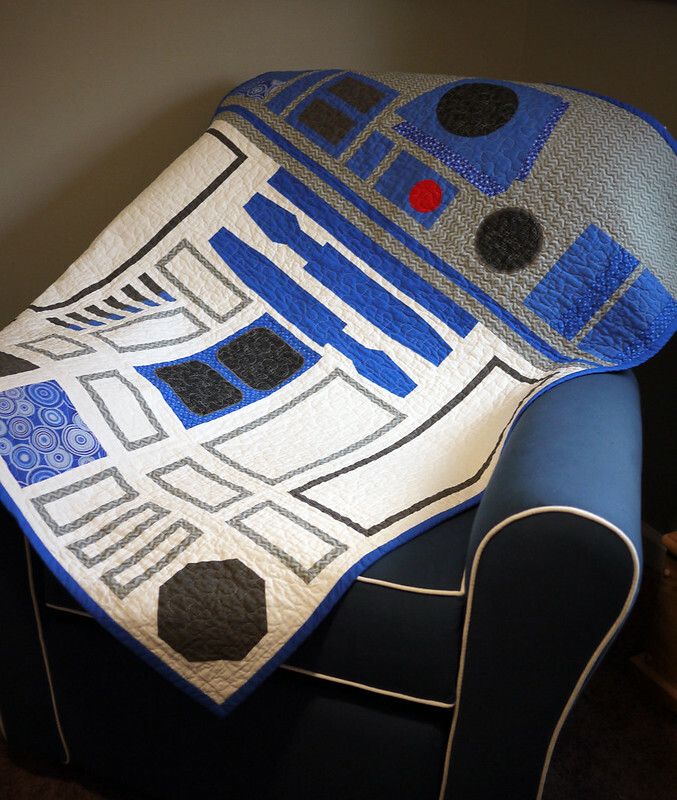 Now I don't quilt, but this R2-D2 quilt by Sticks on a Plane is insanely insanely amazing. My jaw just dropped when I saw it! Do you think I am capable of making something this awesome? Because I think it needs to be in my house. Check out the rest of her STAR WARS THEMED NURSERY right here. It's going to blow your mind. 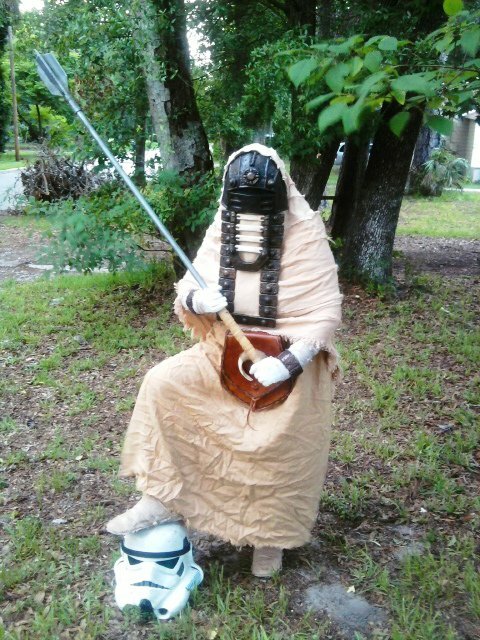 This Tusken Raider costume was made by CoyoteMama13 and I nearly flipped the table when I saw it pop up in the Flickr group. I had JUST met a Tusken Raider (the Sand People in Star Wars) cosplayer that weekend and had been brainstorming ways to make my own female Tusken Raider costume. It's a sign isnt it! Oh hey guys meet PIN-UP ROBIN! 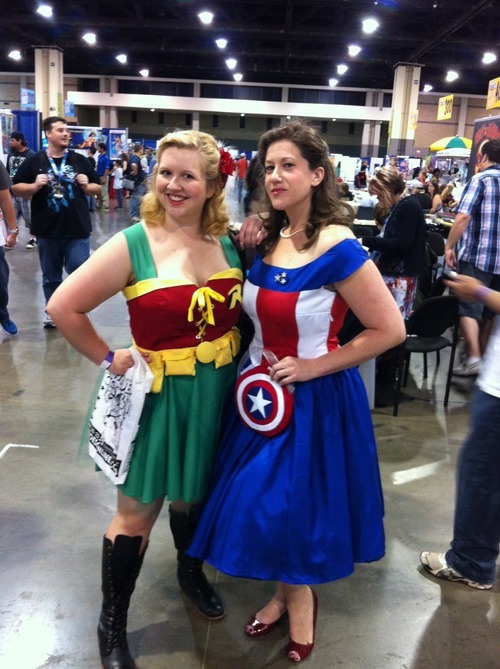 Mary of Young, Broke and Fabulous made this super cute Robin two-piece costume for a comic convention. 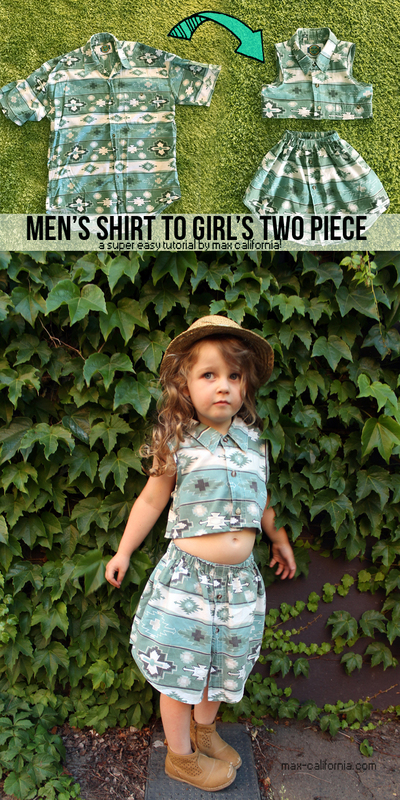 Head over to her blog to catch photos of her swing-dancing in it! I really need more Robin clothing in my wardrobe, like last week. 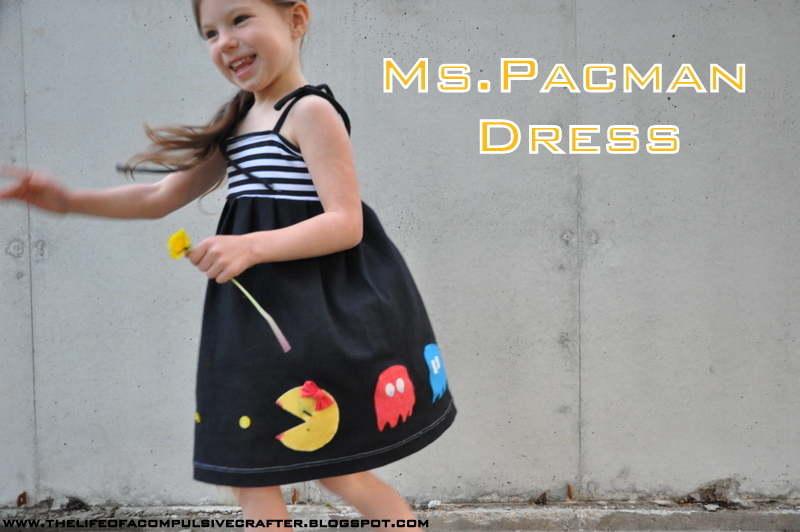 Mae from The Life of a Compulsive Crafter made this super super cute Mrs Pacman dress for her daughter. Look at how cute Mrs Pacman is there, she's thoroughly enjoying eating those dots! And Mae's daughter looks pretty stoked with her dress also! Okay so if you look at the Sew Geeky flickr group you'll see the top contributors on the left there - that's organised by who posts the most pictures to the pool. Girl Like the Sea makes up like, 50% of the group I swear (slight exaggeration). Her daughter is obsessed with lego! Which is A-Ok with me since Vincent is also obsessed with lego! 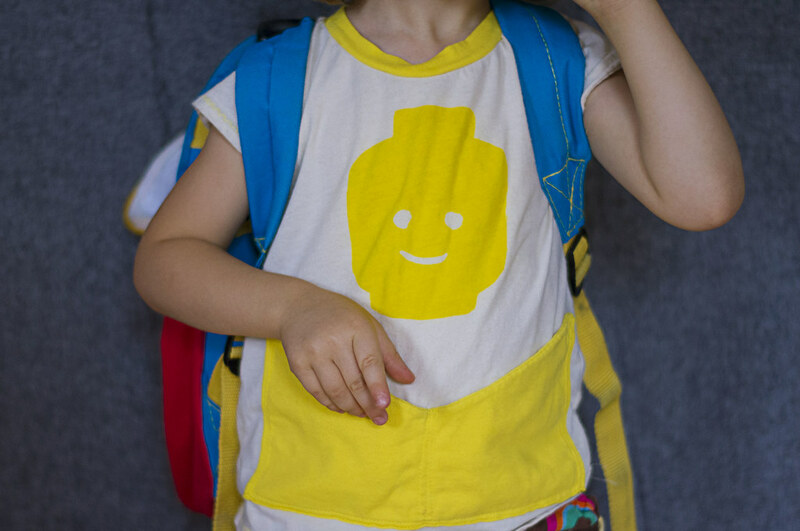 The picture above is a lego shirt Tara made for her daughter with a bonafide lego pocket. Ah yeh, we are all about lego pockets up in here too! 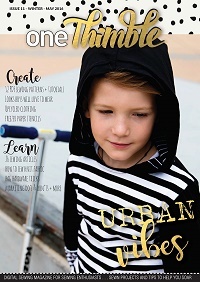 Check out the rest of Girl Like the Sea's blog for more lego goodness, as well as lots of Star Wars crafting (dudes she decorated her daughter's leg cast in Star Wars fabric...*mind blown*)! Plus a rad Arrested Development tee too! Aren't they awesome? 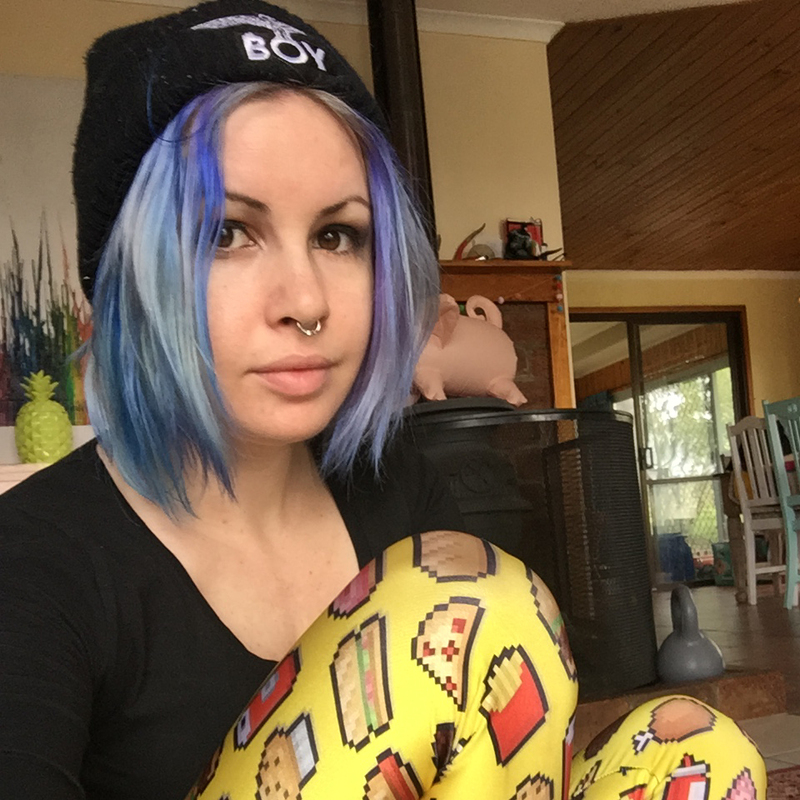 Go to the Flickr group to check out over 100 awesome geektastic DIYs and add your own and on the way stop by Sew Chibi and check out her top 5!